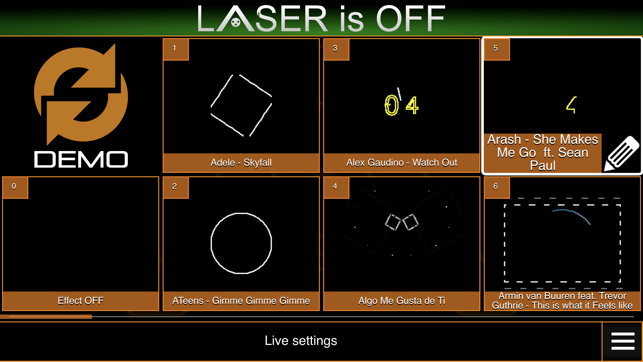 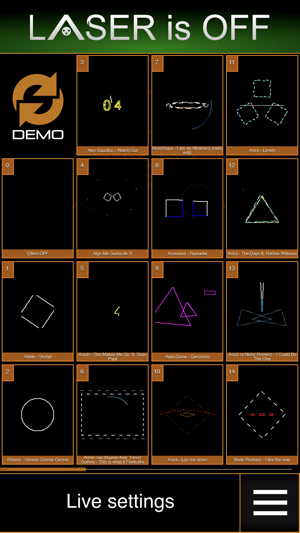 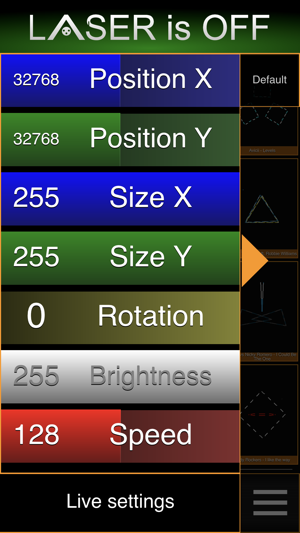 ArtNET Guru allows you to play your laser shows using your phone. 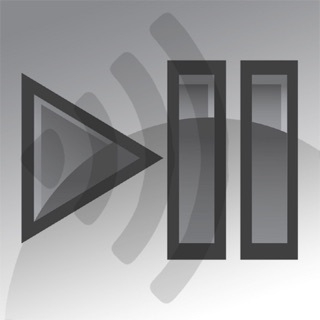 You can even play it synchronized to your music from your iTunes library. 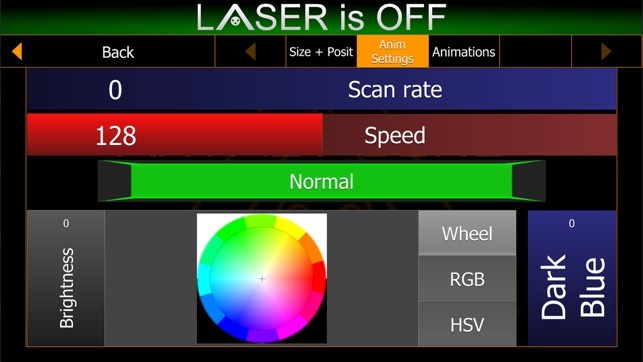 Generally, once you create the laser show in “big” creation software, you just have to export it to SD card and bring only your mobile phone and laser to the venue to be able to play the show. 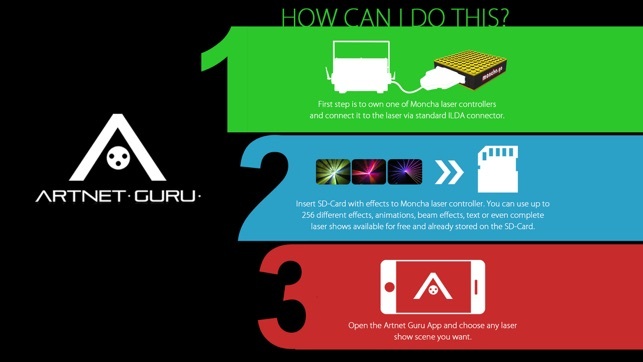 ArtNET Guru allows you to change settings like position, size, rotation or brightness for every laser show from your SD card separately. 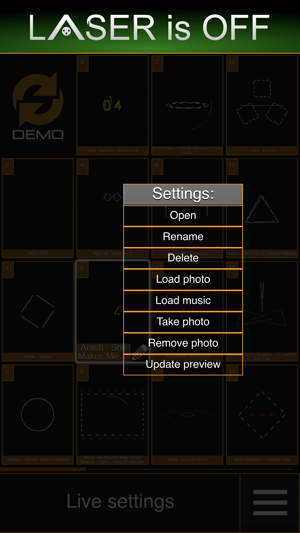 You can also read preview images for the content from the SD card, so the preview images will always be actual. 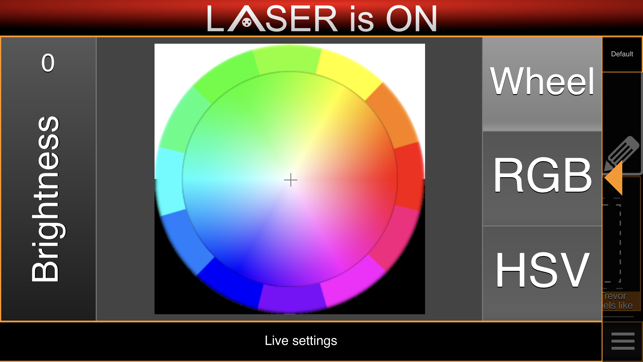 One of our clients also uses it for live laser shows. 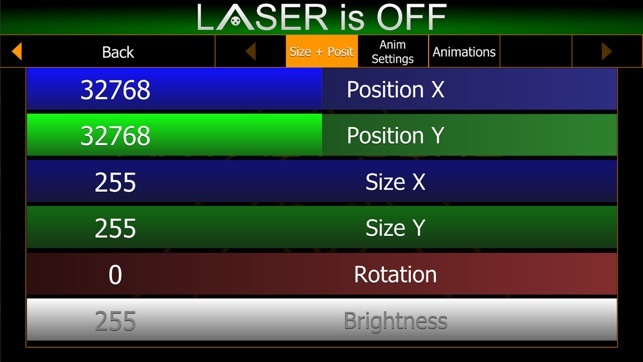 He brings his iPad and once the laser setup is complete, he gives his iPad to his client and lets the client do his own laser shows. 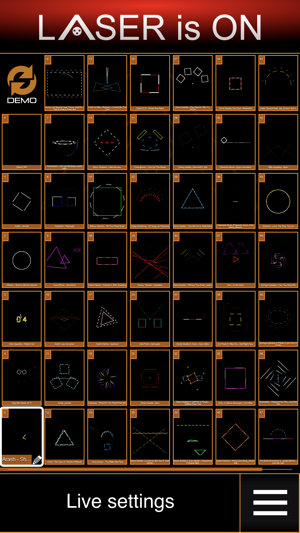 The client loves it!